Garnering its name from its most prominent features, Indiana Dunes State Park offers an experience and ecosystem exclusive to the state park system. The ever-changing dunes began forming around 6,500 years ago with the retreat of the last glaciers, when a beach forming farther out in Lake Michigan began moving towards land. This sandy beach eventually formed the Great Marsh, and when lake levels dropped, sand was blown inland creating the dunes. In addition to the unique dunes, the park offers the highest levels of biodiversity of any Indiana state park, thanks to being at the intersection of multiple ecosystems, which include prairies, deciduous forest, and wetlands. 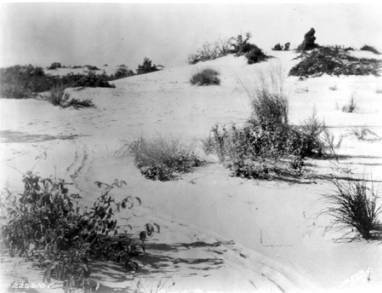 The unique diversity of the area led botanist Henry Cowles to the dunes in order to study the relationship between plants and the environment. From his research, Cowles pioneered the study of ecology and the twin ideas of plant succession and climax formations, arguing that ecological communities change over time, moving toward a stable plant community. Today, the park offers a watchtower for those interested in birding, hiking trails, and a nature center. On February 15, 2019, Indiana Dunes National Lakeshore and State Park was designated Indiana Dunes National Park by Congress. It is Indiana's only National Park. Indiana Division of Historic Preservation and Archaeology, “Indiana Dunes National Park,” Discover Indiana, accessed April 25, 2019, https://publichistory.iupui.edu/items/show/368.